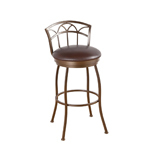 What makes one bar stool stand out from the rest? Is it the style, how comfortable it is, the price or something else? 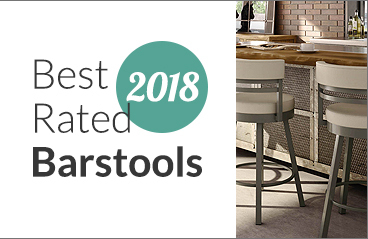 Whatever it is, our customer’s found “the one” bar stool at Barstool Comforts and they had quite a lot to say about their stool! Features curved backrest. Well cushioned seat and back. With footrest. 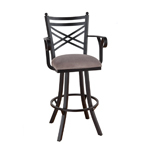 Features handsome ladder back design and well cushioned seat and footrest. 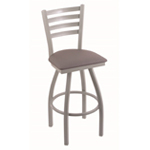 Features curved low backrest design with slightly flared legs. Well cushioned seat with footrest. 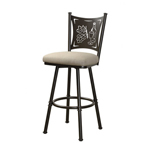 Features tall backrest with the ability to customize laser etching. Well cushioned seat with footrest. 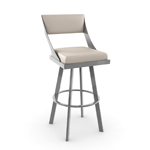 Features a sleek, tall backrest with a square cushioned seat and footrest. Best for modern kitchens. 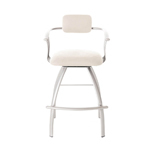 Features a saddle shaped seat with square tubing on the feet. Narrow, but doesn’t compromise comfort. 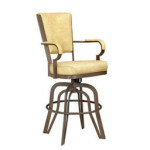 Features a cross back design with arms and footrest. Well cushioned seat and slightly flared legs. 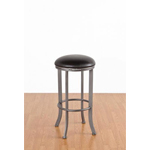 Features a tall backrest, padded armrests and a tilt swivel mechanism at the base, allowing you to rock back in the stool. 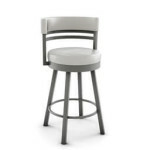 Features a tall backrest with armrests positioned on top a nice, deep seat. Comes with footrest. Goes great in modern kitchens. 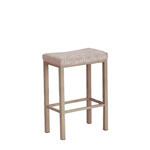 Features a slender frame, great for narrow spaces. Seat is well cushioned and includes a footrest.